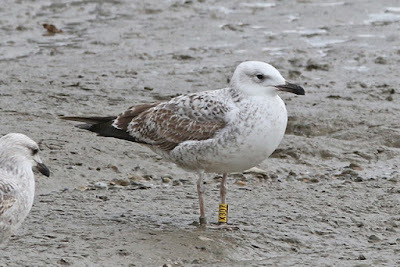 X307 is a bit of a special bird, in that it was the first Caspian Gull of the season in the Thames Barrier/O2/Rotherhithe area way back on 25th September 2016 when Jamie P spotted it (photos here). Dante saw it at Rainham in October, but since then it has been seen at Amwell, Herts on a couple of occasions but that's it. So nice to have it back in Central London! 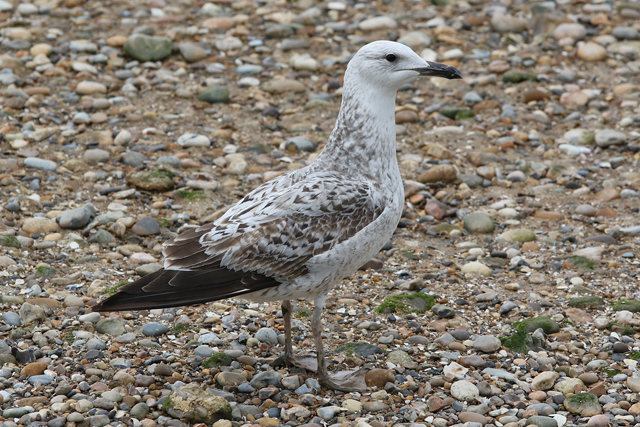 There was another treat at Thames Barrier Park on Sunday too, when another really bold and vocal 1st-winter Caspian Gull turned up to the offerings. This bird showed outrageously well, in nice neutral light too and was a new individual for us - number 26 for the season, excluding a couple of potential hybrids. With the obvious primary displaced in its right wing, as well as subtle plumage details, this is 'Creeky' a bird seen a few times just downriver at Creekmouth recently. 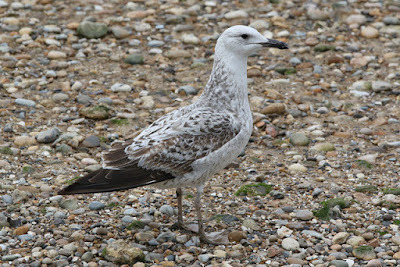 Anyway, there were a couple of Yellow-legged Gulls about and some NTGG ringed Herring Gulls but that was about it. However, with the gull season getting ever nearer the end, I'll take a couple of local Caspian Gulls for a Sunday's day of work. 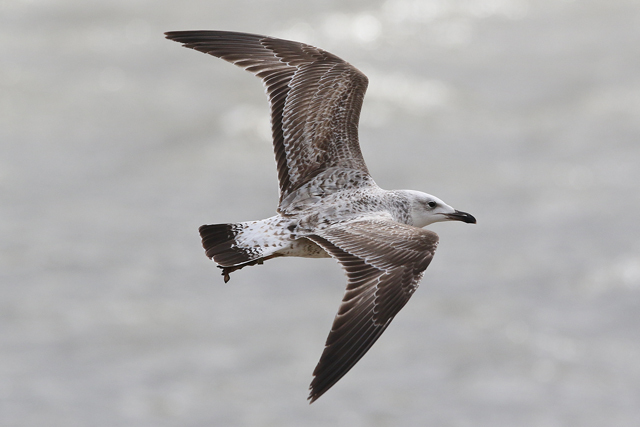 Last Casp of the season? Perhaps. 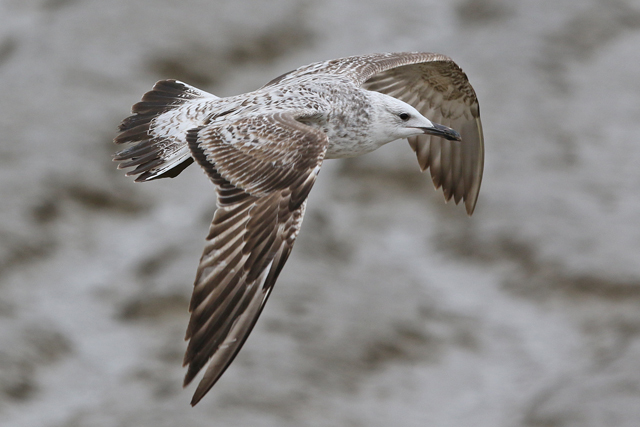 Two Caspian Gulls in Rotherhithe!